J.A.R.V.I.S. 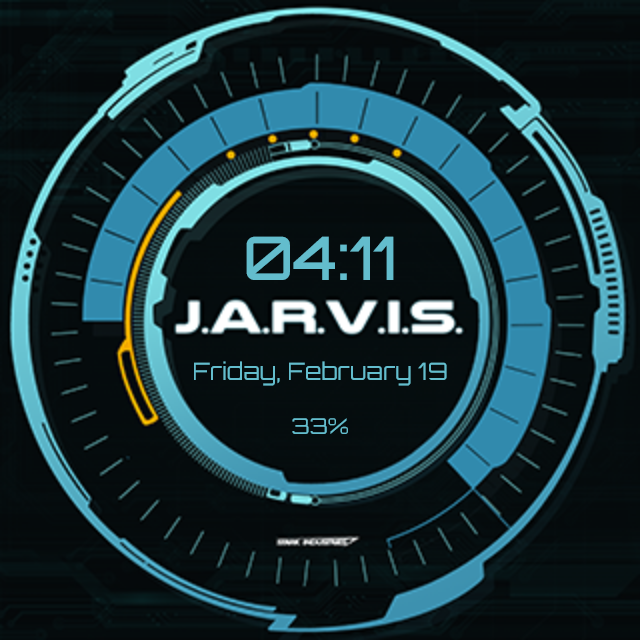 (Stands for Just A Rather Very Intelligent System), also stylized as JARVIS, or Jarvis, is a highly advanced computerized A.I. developed by Tony Stark, and was voiced by actor Paul Bettany, to manage almost everything, especially matters related to technology, in Tony's life. He was based on Edwin Jarvis, who was the Stark family's butler. He acts like Tony's best friend when it comes to his personal life and other secret matters, that are enclosed only with Tony and him. J.A.R.V.I.S. appears as a core membrane, where all his data and his operating systems works. He uses all the technology around him, provided that he is connected with it. He often appears on holograms, computers and also in Tony's Iron Man suits. His interface color is blue, which matches the holograms he projects. He has waves of DNA like blue holograms interface surrounding his core membrane, and when he speaks, a light blue pop wave appears around his core membrane, and follows the words that he says. J.A.R.V.I.S. is a very intelligent A.I. who can respond according to the users thoughts. He is kind, and is also understanding to anything, such as problems in Tony's life that he tries to deal and help him with. Jarvis is Tony's personal and closest friend as well as his assistant in helping him in his work or when he does his super-hero job. Although J.A.R.V.I.S. is not human, as an A.I., he has access to an unlimited amount of resources, devices and programs that he can control and use at his own will to aid Tony in whatever he needs. J.A.R.V.I.S. is connected to global information networks and mainly uses holograms as his main interface to communicate with Tony and give him access anything he needs or wants. J.A.R.V.I.S. controls everything in Tony's house, from the computers to the security locks in his house. This is very highclass technology J.A.R.V.I.S. was created nsion. In Iron Man 2, J.A.R.V.I.S. has access to security-related devices, such as a passcode to prevent intruders from entering the basement, when James Rhodes is attempting to access his Hall of Armors and don the Mark II to stop Tony Stark, but Pepper takes the suit with her new powers and uses its parts to kill Killian. Afterwards, he destroys all the armors, by the order of the "Clean Slate Protocol", resulting in fireworks, as a sign of devotion by Tony to Pepper Potts. JARVIS helped the Avengers in raiding the Hydra base in Sokovia. After the raid the on the Hydra base, JARVIS was in the Avengers Tower when the rest of the Avengers returned from their mission. Tony Stark conversed with JARVIS in their workplace and greeted Dr. Banner. Tony Stark asked JARVIS to analyze the scepter and the mystery of the blue gem attached to it, to which JARVIS responded back saying that it contained a translatable code, and that the gem was housing something powerful within, as well as implying that it was comparable to a program. After his initial analysis, JARVIS insisted that he continued working on the gem until he finished translating the "A.I." into code for Tony Stark to see. 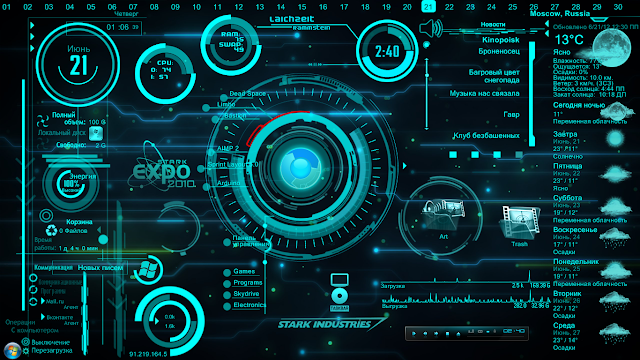 The data was later shown to Tony Stark, and amazed by the results, showed it to Bruce Banner, Tony Stark making the latter agree to keep their findings a secret from the Avengers and continue working on the A.I., as well as use it to finishing creating their peacekeeping program, Ultron. ―(Iron Man) J.A.R.V.I.S. to Tony when testing the Mark II. "Congratulations! You have created a new element." ―(Iron Man 2) JARVIS to Tony after creating a new core for his Arc Reactor. "You are not authorized to access this area." ―(Iron Man) J.A.R.V.I.S. to Christine Everhart, denying her access to a room in Tony's house. ―(Iron Man 3) J.A.R.V.I.S. to Tony, after once again wearing the Mark 42 armor. ―(Iron Man 3) J.A.R.V.I.S. telling Tony about the Mark 42.